Patch Tuesday (a.k.a. 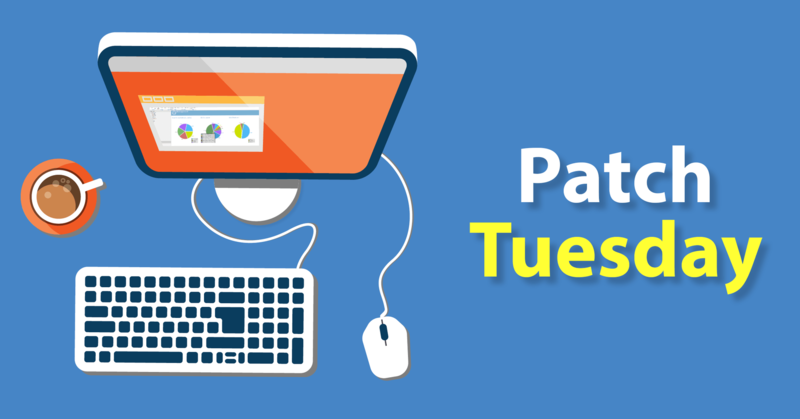 Update Tuesday) is an unofficial term used to refer to when Microsoft regularly releases security patches for its software products. It is widely referred to in this way by the industry. Microsoft formalized Patch Tuesday in October 2003. We cover these updates as they happen: let us do the testing first, read up our reports and get ready to update! Here is the updated list of monthly roll-ups released for Windows 10 version 1803 after the major update codenamed Redstone 4 aka Windows 10 April Update. Windows Update will automatically download and install this update. Get the standalone package for this update from Microsoft Update Catalog. Windows 10 KB4343909 is a cumulative update that brings additional security improvements for the latest Spectre and Meltdown threat variations. It also fixes DLL and high CPU issues. Here is the full review. install fails, games won’t launch, VPN won’t connect, Bluetooth keyboard connection problems. This patch brings quite a long list of fixes and improvements. Read here the full review. users haven’t reported other issues apart from the minor bug mentioned in Microsoft’s support page. Windows 10 KB4345421 is a recommended update to fix error 0x000000D1 after installing the latest Windows 10 April Update patches. Find out the full list of improvements and fixes on the KB4345421 full review. Cumulative Update KB4338819 brings only quality improvements, and it doesn’t include new other features. You can find out more about these improvements on the full review. fails to install, app tiles disappear, users can’t connect to shared printers, VPN service stopped working, GPU drivers won’t work, BSOD errors when connecting Xbox controllers. Windows 10 KB4284848 cumulative update focuses on fixing a series of video streaming issues affecting the OS, as well as Remote Desktop connection bugs. Dive in and see what’s new in KB4284848 [full review]. fails to install, Wi-Fi connection problems. KB4284835 fixes display brightness settings, black screen issues, and many annoying bugs that came with Windows 10 version 1803. Read now the full review. install fails, may cause Edge to stop working, reboot loop issues. The cumulative update B4338548 brings a pretty valuable fix for QuickBooks users. Here is the full review. Read now the full review. Go to Settings > Update & Security > Windows Update and select Check for updates. KB4103721 prevents your PC from booting up, don’t install it. Here is the updated list of monthly roll-ups released for Windows 10 version 1709 after the major update code-named Redstone 3 aka Windows 10 Fall Creators Update. Here is the updated list of monthly roll-ups released for after the major update code-named Redstone 2 aka Windows 10 Creators Update. Read more on our news article Download KB4343897, KB4343885, KB4343887 on older Windows 10 versions. On April 10, 2018, Windows 10, version 1607, reached the end of service. Microsoft recommends updating to the latest version of Windows 10 to continue receiving security and quality updates.